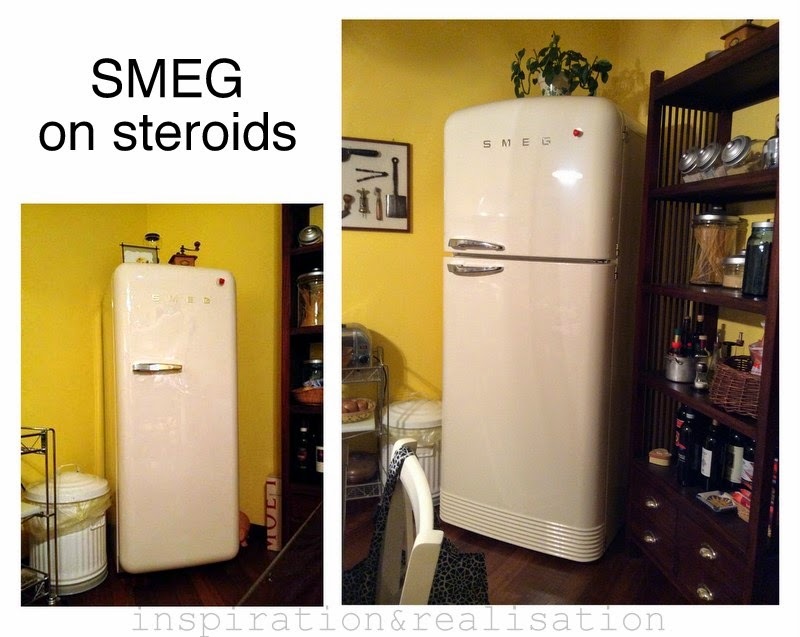 Few weeks ago, we changed our refrigerator, but I love my small retro SMEG so much that I didn't want to get rid of it. The bigger version isn't as good looking as the smaller one. But I can go two weeks without going to the grocery store now! so it's a winner ! 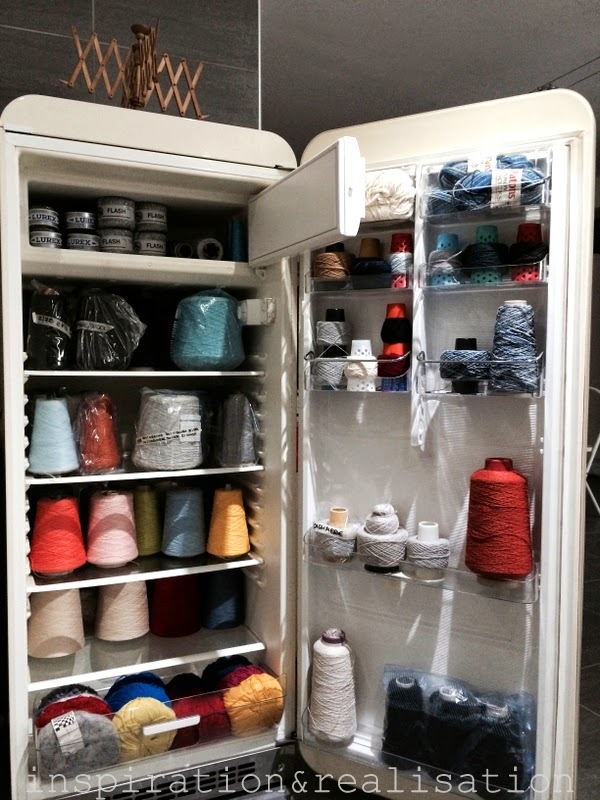 I love my small refrigerator so much, but it was just too-small. So downstairs it went to my craft room. ...and got a new life. My yarn stash is now happy, secure, dust free and all in one place! First, I cleaned the refrigerator with a strong detergent, Then I dried it out completely and left it open with plenty of open boxes of baking soda in it for a good 40-45 days. This morning I checked and there was no trace of a single smell. I packed my yarn placing at the base of several cones some lavander bags (that I made using lavender from my bushes) and now it's all done! I wish I had saved my grandmother's old fridge - it was pink! Great idea.